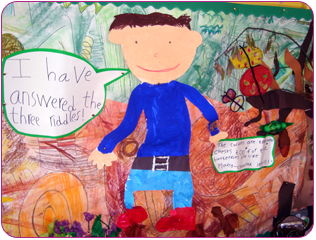 The pictures were made by children from Kitchener Road School. Cath has run Storytelling workshops for Early Years teachers across Cardiff as part of the Welsh Assembly Government’s Foundation Phase Training. 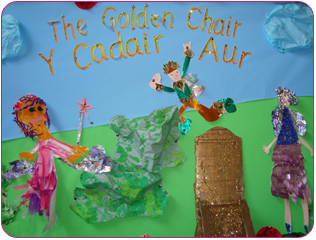 She has created a successful Storytelling Course for Parents and delivered this in Community Education Centres. Cath teaches on the Spellbinders Storytelling Course and offers support and advice to the Spellbinders Volunteers. “A hands on approach, which always makes me engaged and able to grasp more ideas.